Take a look at the full “How Far I’ll Go” sequence from Disney’s "MOANA" featuring the Golden Globe nominated song written by Lin-Manuel Miranda and performed by Auli‘i Cravalho. The powerful vocals from Cravalho make the beautiful animated "MOANA" and the fantastic lyrics and music of Miranda that much more beautiful. 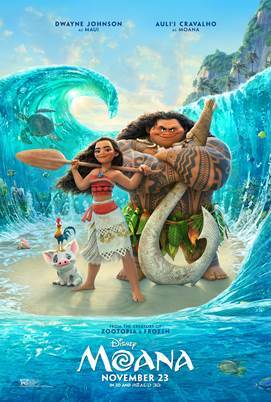 The "Moana original motion picture soundtrack," the two-disc deluxe edition and the digital deluxe edition soundtrack are available wherever music is sold and streamed.